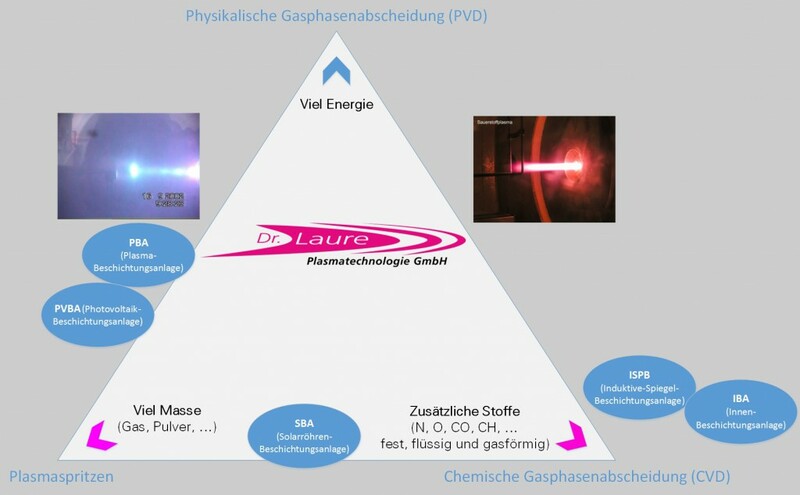 Originally developed for aeronautics, the high-performance generators which Dr. Laure Plasmatechnologie GmbH makes are a product of arc propulsion technology. Based on the technology of Arcjet-engines for space applcications, Dr. Laure Plasmatechnologie GmbH developed its high-performance plasma generators. Innovative refinements enable these arc generators to evaporate all of the substances used in coating technology and thus achieve layers of quality levels which could previously only be achieved by physical vapour deposition (PVD) procedures. The use of propulsion technology gives the coating plasma a flow velocity which increases the deposition rates many times over in comparison with established PVD methods. However, arc-based processes may be limited when substances are used which react with the electrodes of the arc generators when hot. Such cases require the use of high-frequency plasma generators in which the plasma does not come into direct contact with the electrodes. Dr. Laure Plasmatechnologie GmbH constantly works on optimising already established coatings, but is also open to the prospect of entering into new development projects.